I am often asked can you receive disability if you are obese? The answer is yes with a few conditions and legal analysis. Obesity and or being severely over weight is a serious condition, being obese can lead to severe health care issues and problems. As an attorney I have reviewed and studied the requirements that must be met under some new rules issued by Social Security Disability for obesity. In appears to me in representation of claimants with severe obesity that many times a major weight bearing joint is affected, meaning a knee, leg, hip, ankle, etc. The reason this is so important as a factor lies in the social security ruling 02-01p(5), does your weight bearing joints and or joint have arthritis and does it affect your ability to ambulate and or walk or stand? I have met with and represented many obese individuals who can no longer walk without the assistance of a cane or walker, there ability to ambulate effectively has stopped, and thus they become disabled. Losing weight is never easy, and most people I represent simply do not have the money to have surgery to help them with weight loss, so generally under the ruling above it is not a reason alone to deny you disability because you cant afford the weight loss surgery. Many of my clients have tried to lose weight and simply can’t do it. You need only give me a call if you suffer from severe obesity and or being severely over weight, I would be very pleased to help you. At my law office socialsecuritydenied.com you will speak directly to me, and you can be assured that at my office the most important case is your case. There is a listing under the rules of Social Security Disability that includes knee disorders. Knee disorders is a large grouping of knee problems, including total replacement of the knee and or surgery that is needed and the Dr. decides that you are not a good candidate for the surgery. Knee problems can effect anyone, at anytime. Once the knee has to be replacement, it is generally a life long process that you must deal with, and be able to maintain a job, sometimes maintaining the job becomes impossible due to your limitations, and or the pain associated with knee replacement. The requirements to meet this listing are things such as reconstructive surgery on a major weight bearing joint, this includes the knee, the listing also requires that you do not have the ability to ambulate effectively, either after the surgery or since you are not a candidate for surgery, you cannot ambulate effectively in your condition. The pain associated with knee problems is tremendous, due to the fact that it is always under pressure from the weight of your body. In many cases of knee replacement, the pain is constant and the medications used to alleviate the pain are so strong that the claimant cannot perform past work, and or any sedentary work that might be available. Even in sedentary work an individual might be required to use pedals or foot controls, and many knee replacement claimants cannot tolerate the pain from these requirements. Should you need assistance with your claim for social security disability, please give me a call, if you cant come to me, I will come to you. There is a listing under Social Security Disability entitled inflammatory arthritis, this is the listing for Rheumatoid Arthritis. The listing requires the following medical conditions, but remember there are other ways to meet Social Security Disability requirements other than this listing for Rheumatoid Arthritis. 2. Involvement of two or more organs/body systems. At least one of the organs/body systems must be involved to at least a moderate level of severity. E. Inflammatory spondylitis or other inflammatory spondyloarthropathies, with lesser deformity than in B and lesser extra-articualr features than in C, with signs of unilateral or bilateral sacroiliitis on appropriate medically acceptable imaging; and with the extra-articular features described in 14.09D. Rheumatoind Arthritis is a dibilitating disease, it can strike young and old alike. It can deform the body and make everyday choirs seem impossible. Daily living activities such as simply shopping or driving can become to painful. If you or a loved one suffer from Rheumatoid Arthritis please give me a call, I would be pleased to review your Social Security Disability claim at no charge, and there is never a fee unless I win your claim. I'm Daniel L. McMurtry attorney at law, call me today at Toll free 1-877-271-2633, there is no fee unless I collect for you in your disability claim. That is my promise to you, call today and let me start helping you with your disability claim. Social Security disability law is all that I do. This site is for informational purposes only, no attorney client relationship is created by use of the site. This site is not affiliated with the Social Security Agency, it is a private law office. Social Security Disability representation is non-jurisdictional, Attorney McMurtry is licensed in Tennessee, but permitted to take Social Security Disability claims throughout the United States and Puerto Rico due to Social Security Disability being non-jurisdictional. 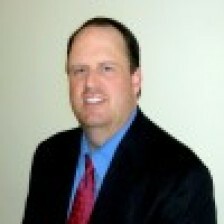 Social Security Disability representation is all that Attorney McMurtry represents clients for in the practice of law.